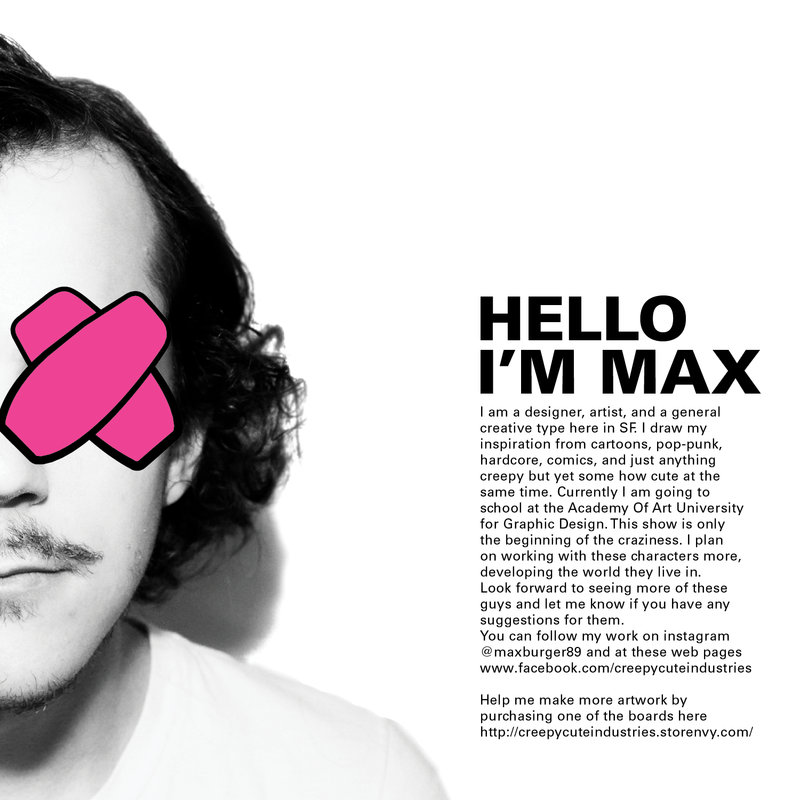 This is one of my personal projects. 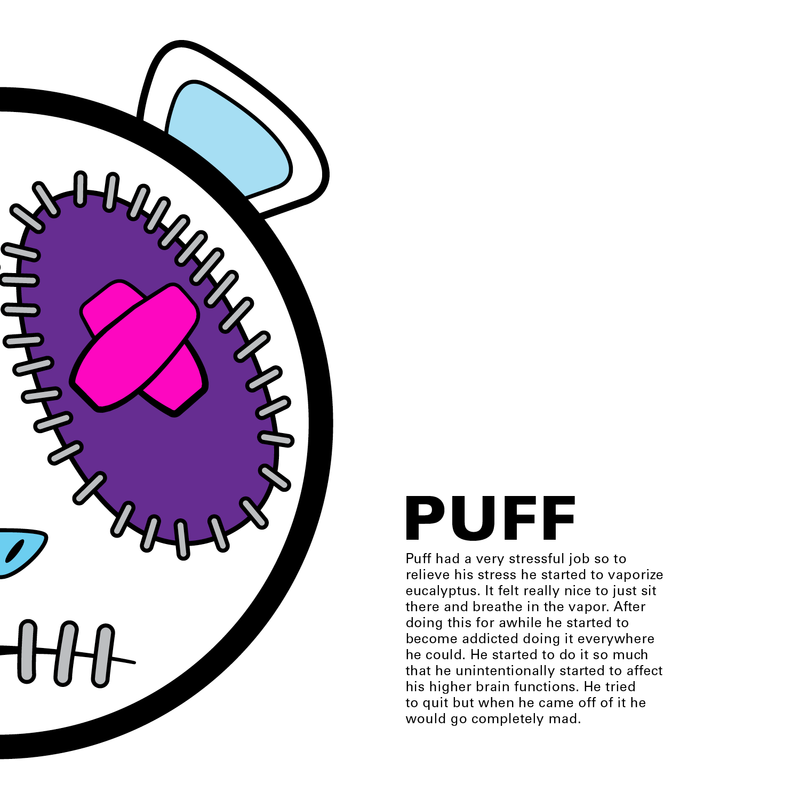 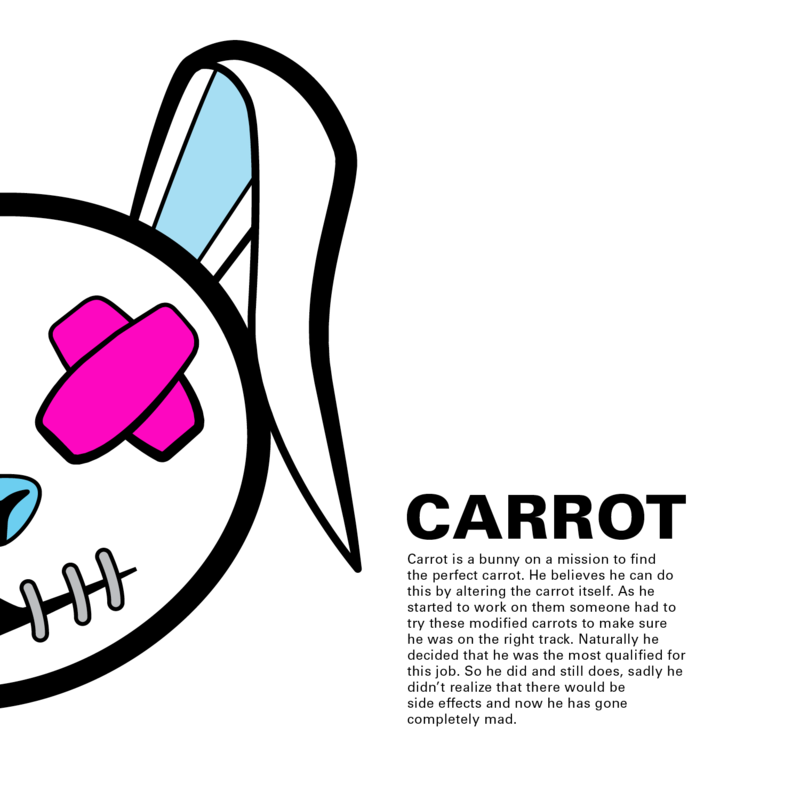 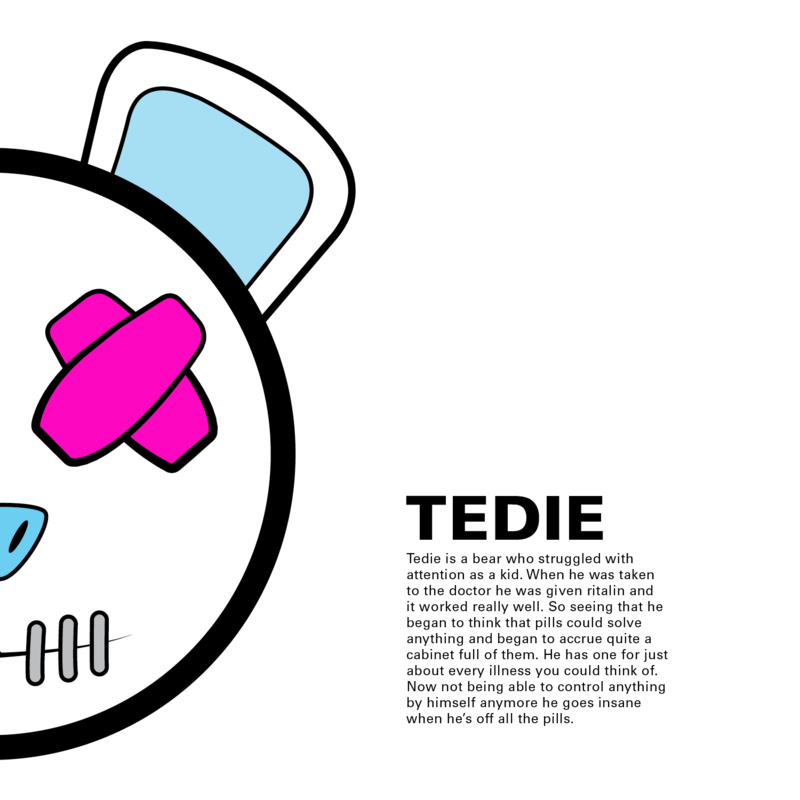 I developed three characters, Carrot, Teddie, and Puff, whom have all gone mad from different substances. 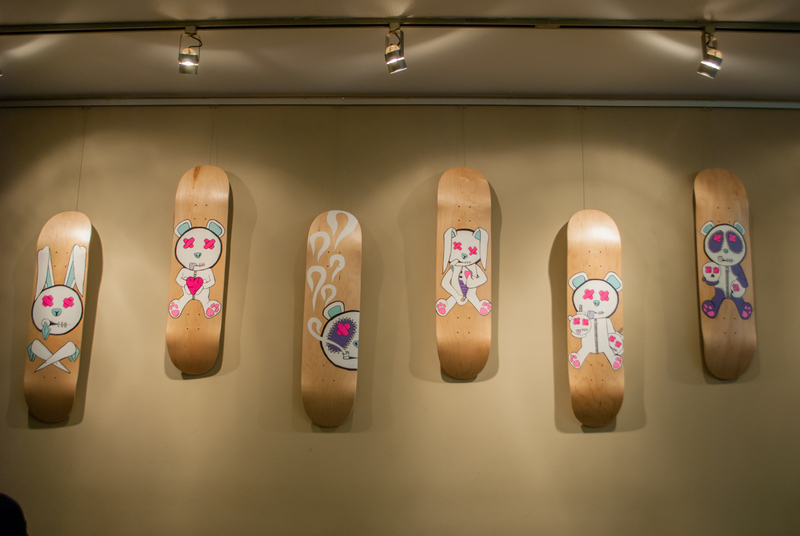 Through painting on skateboards, I have explored their personalities and the worlds in which they live. 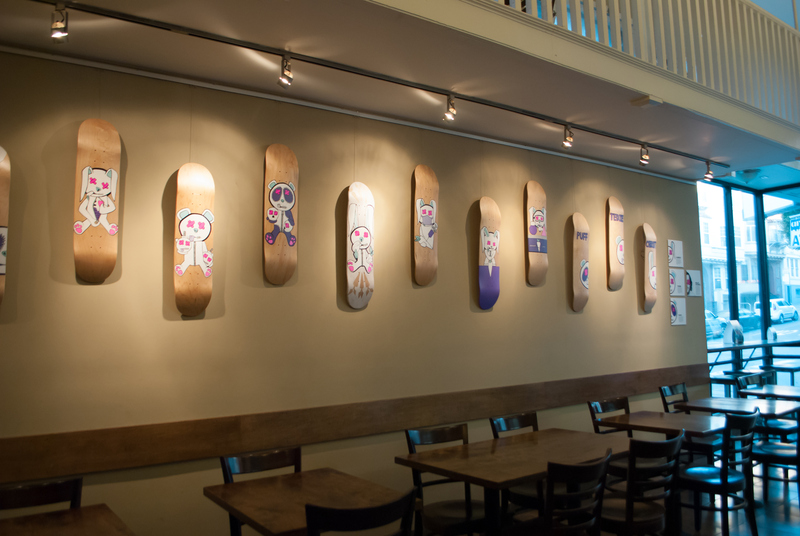 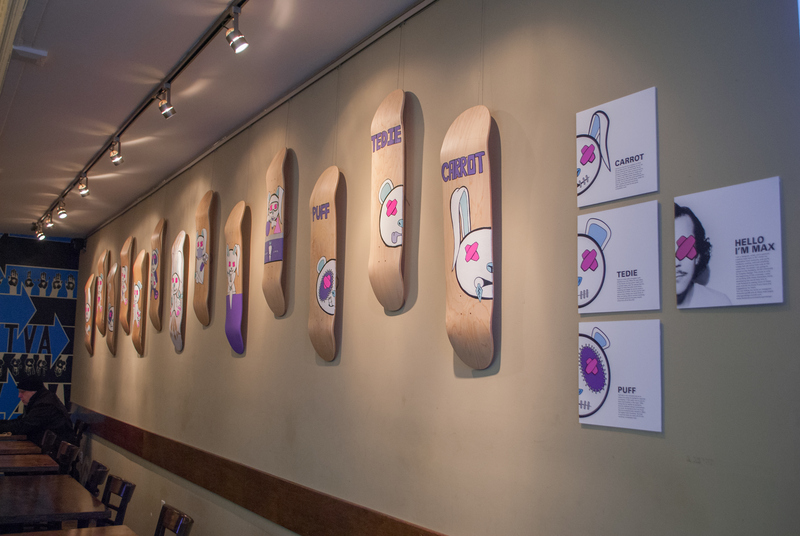 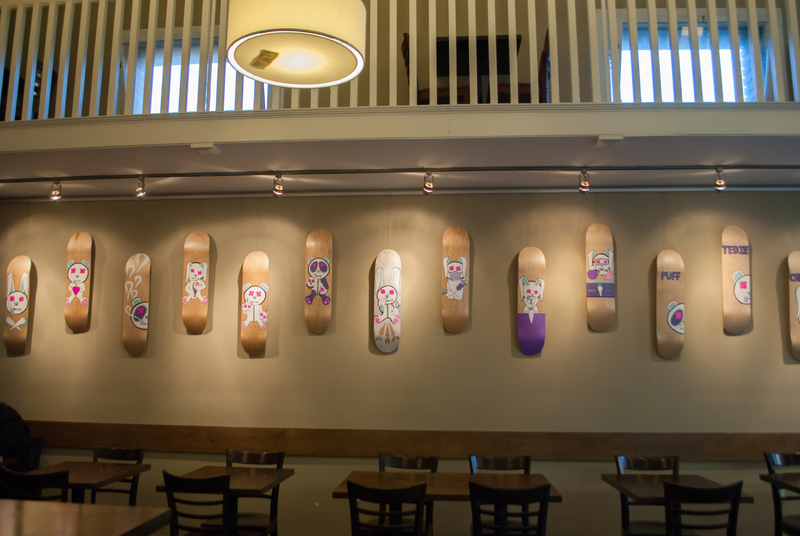 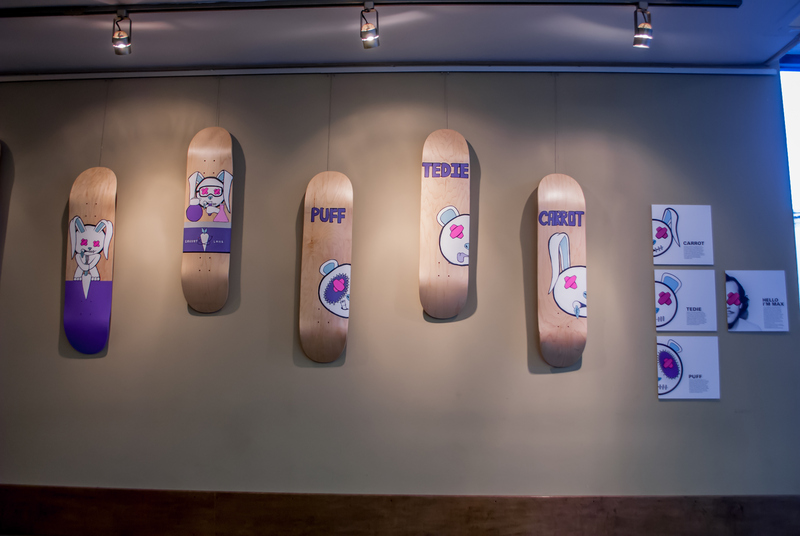 In total I created 15 boards, 13 of which are presently being displayed at a local cafe I frequent in San Francisco, CA called Another Cafe.